You may or may not remember the whole doctor saga back in December. Well, almost 2 months after my original appointment, I met with a new rheumatologist yesterday. I honestly couldn’t tell you how the appointment went. There was a lot of crying (which was partially due to my elevated pain levels in the first place – I’m home from work today because I feel/felt so awful). My doctor seems to be incredibly nice, and I think, but need to confirm, that he will let me have my infusions at Vanderbilt in Nashville. There was a period of about 10-15 minutes, though, when I was convinced that he did not think that I had arthritis and/or didn’t want to treat it. He talked only about improving my fibromyalgia treatment. Obviously I became very, very upset, especially since that was the experience I had with my first rheumatologist from Vanderbilt. My experience with her was why I haven’t had a rheumatologist in Nashville in 2 years. “Clearly, suppressing your immune system isn’t doing much.” False. It is the only way I was able to finish college and have a job right now. “It seems like the issue is fibromyalgia.” How else was I supposed to take this? “Do you really think that the steroids and anti-inflammatory medications are helping?” Again, how else should I have taken this? I would not have become nearly as upset had he started off the conversation with, “I don’t want to do anything to the arthritis treatment. But I think I can help your current pain by focusing on fibromyalgia.” Or even if he said, “Let’s not stop any of your medications. Maybe we can add another one for fibromyalgia.” Either of these or a variation of it would have made me feel extremely different. 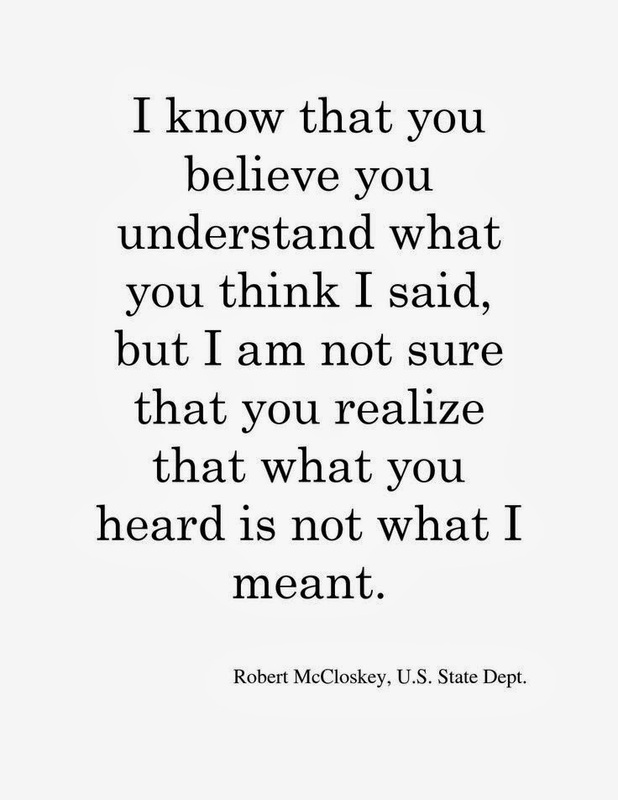 This miscommunication issue can apply to anyone, in any profession, at any time. I’m sure that I have been a perpetrator of it at some point with my students, despite how much I try. Maybe it’s the English major in me, since I spent 4 years writing papers analyzing what authors said and what they said by not saying something. But I feel like it’s important for everyone to practice saying exactly what they mean, and not just half of what they mean. Anyone else feel like what you don’t say can mean just as much as what you do say, or do I really put too much emphasis on that?